"GIVE YOURSELF OVER TO ABSOLUTE PLEASURE!" 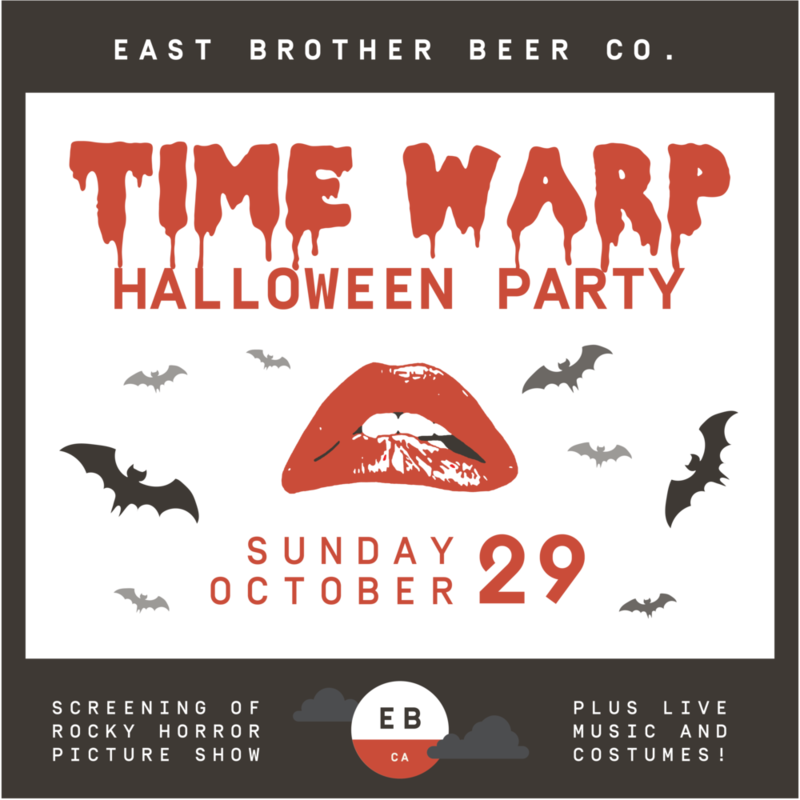 Start Halloween early with a Time Warp at East Brother Taproom! We will be hosting spook-tacular live music by HOT ROD JUKEBOX from 3-5pm! Dress to impress the guys and ghouls! A costume contest will also be held during the time of the music performance! Prizes will be awarded to the crowd favorites! We will finish the monster mash with a theater like projection screening of Rocky Horror Picture Show! Props and participation is encouraged! Prop bags will be available to purchase at the bar if needed! Show starts at 6pm!